Since the start of civilization, human societies have played an active and dynamic role in leading the development of the ever-changing world. This capability of humans to drive social and global changes by synthesizing the relevant historical past, the current and the direction for the future could only be achieved through a continuous process of reform and renewal. This is also the same with Islam in Muslim societies. The essential component of reform in the essence of Islam could be derived by important concepts; such as Ijtihad, Tajdid, and Islah. There is no doubt that the spirit of reform has always been central in the rich tradition of Islamic scholarship since the classical times of Muslim civilisation. In the early modern times, influential Muslim scholars such as Jamāluddīn al-Afghāni, Muhammad Abduh and Muhammad Iqbal, have all called for reform in various aspects of the Muslim lives, not only on theological matters, but also intellectual, spiritual, social and political. Through the works of these Muslim reformers, Islam has always remained relevant as God’s moral and ethical message to all humanity, for continuous progress and development. However, in the current time Muslim societies in several parts of the world are far behind. Among the worst of Muslim societies are turning into failed states, while among the best are trapped in rigidity, complacency, and intellectual stagnation. Central to this worrying condition is the tendency of the current generation of the scholars of Islam, or the ulama’ of not emphasizing on reform and renewal as an important feature of the Islamic teachings. Thus, this forum serves as an important platform and opportunity to revisit and rethink again on the question of Islamic reform, mainly in Muslim societies. Prof. Ebrahim Moosa is a Professor of History and Islamic Studies at the University of Notre Dame. Ebrahim Moosa’s interpretative and historical research on questions related to Islamic tradition, ethics and law include two monographs as well as several edited and co-edited books. His prize-winning book Ghazali and the Poetics of Imagination (University of North Carolina Press, 2005) was awarded the Best First Book in the History of Religions by the American Academy of Religion. And, is the author What is a Madrasa? (University of North Carolina Press, 2015. 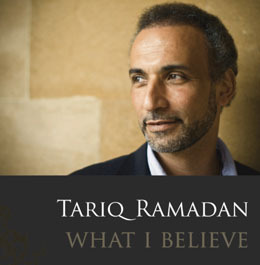 His publications include several co-edited books, among them The African Renaissance and the Afro-Arab Spring (Georgetown University Press 2015); Islam in the Modern World (Routledge 2014) and, Muslim Family Law in Sub-Saharan Africa: Colonial Legacies and Post-Colonial Challenges, (Amsterdam University Press, Spring, 2010). He is also the editor of the last manuscript of the late Professor Fazlur Rahman, Revival and Reform in Islam: A Study of Islamic Fundamentalism (Oxford: Oneworld, 2000). Moosa has published influential essays on Islamic law, theology as well as contemporary Muslim ethics, bioethics, biotechnology and political thought. Moosa is also regarded as a prominent public intellectual. In 2007 he was invited to deliver the 2007 King Hasan Lecture (Durus Hasaniyya) to his Majesty King Mohammed VI of Morocco in Arabic. Prof Mohamed El-Tahir El-Mesawi is a professor at the Kulliyyah of Islamic Revealed Knowledge and Human Sciences, International Islamic University, Malaysia, IIUM in which has been working since 1994. He obtained a PhD from the Department of Usuluddin and Comparative Religion, IIUM (2003) for his dissertation on the topic of maqasid al-Shari‘ah and the foundations of human society. He holds an MA in Islamic studies from the same university (1994) and a BA in economics from Oumdurman Islamic University, Sudan, 1988. Prior to that, he studied English language and literature at Ecole Normale Supérieure of Tunis, and philosophy and sociology at the University of Dhahr el Mahraz, Fez, Morocco. El-Mesawi has taught courses on usul al-fiqh, maqasid al-Shari‘ah, Islamization of knowledge, and contemporary Islamic political thought both at the undergraduate and postgraduate levels. He has presented papers in many conferences and seminars and published numerous articles, book chapters and book reviews and over ten books. His books include, among others, A Muslim Theory of Human Society; The Qur’anic Phenomenon; The Question of Ideas in the Muslim Word; Maqasid al-Shariah; A Treatise on Mawasid al-Shariah. El-Mesawi served as editor for the journals of Islamiyyat al-Ma‘rifah (a quarterly Arabic journal published by IIIT) and at-Tajdid (a biannual journal Arabic journal published by IIUM) and is member of the the advisory boards for a number of journals. He also served as member Shari‘ah committee for some Islamic financial institutions. His research interests include of Islamic legal theory, maqasid al-Shari‘ah, values and social change, history of ideas, Islamic movements and reform, Islam, modernity and globalization. In 2008 he was winner of the King Abdullah bin Abdulaziz International Award for Translation (Arabic into English), and in 2009 IIUM he won the IIUM Recognition Award. Dr Isham Pawan Ahmad is an Associate Professor teaching philosophy and theology at the International Islamic University, Malaysia. He obtained his Master at the University of Chicago under the late Prof. Fazlur Rahman and his PhD from the University of Edinburgh, Scotland. His research interest focuses mainly on questions on epistemology and how it impacts our understanding of the relationship of revelation to reason. This understanding shapes our view of religion and ethical worldview. He has expanded this research to include works on interfaith dialogue which translated in collaborations in works on global religious understanding and appreciation with recognition and acceptance of global ethics. He has written and presented numerous papers both locally and internationally. Dato’ Dr Ahmad Farouk Musa is a Chairman and Director of the Islamic Renaissance Front, an intellectual movement and think-tank promoting reform and renewal in Islam, democracy, good governance and human rights. He is actively involved in civil society and the emerging discourse on post-Islamism. He is also involved in interfaith dialogues especially with regard to Christian-Muslim relations and intra-faith dialogues especially the Shi’i-Sunni discourse. He has presented papers at numerous international meetings including the latest at the Symposium on Islam and Contemporary Issues in Tehran, Iran, in March 2017. Professionally, he is an academic at the School of Medicine, Monash University Malaysia and a trained Cardiothoracic Surgeon. He is currently a Commissioner at the Commonwealth Initiative for the Freedom of Religion or Belief (CIFoRB) based in Westminster, London. He is also a Director at the Centre for Combating Corruption and Cronyism (C4) and was recently appointed as a Research Fellow at Sekolah Tinggi Filsafat Islam Sadra (STFI Sadra), Jakarta, Indonesia. He was a former Deputy-Chairperson of BERSIH 2.0, a strong civil movement working for a free and fair election.